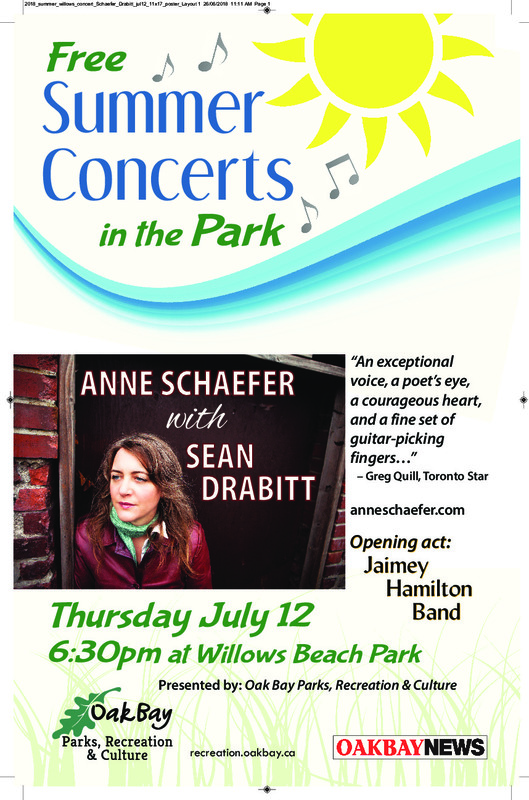 Oak Bay Parks, Recreation, and Culture is excited to announce another season of free concerts in Willows Beach Park (Beach Drive at Dalhousie Street) this summer! 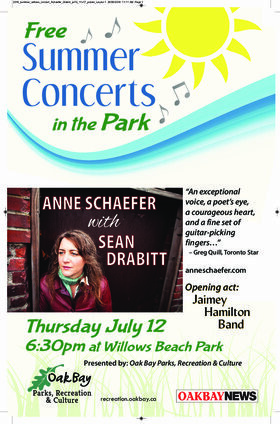 Join us for the 2nd concert of our season featuring local musicians Anne Schaefer and Sean Drabbit. 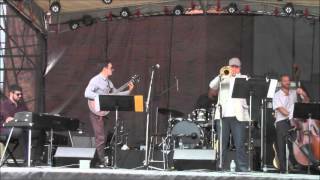 Bring a blanket and picnic, and enjoy the free music in a beautiful setting!